I think about creative inspiration a fair amount. It can be hard to explain to others because it is so specific to the individual. Like every other writer I have certain authors that I simply worship — Edith Wharton, E.M Forster, Alice Munro, Ron Carlson, Lorrie Moore, Katherine Mosby, Michael Cunningham. These are just the first few names that come to mind as I write this. But it’s a rather long and varied list, a haphazard collection of the famous and the unknown. I keep adding to it over the years and no one ever really gets knocked off. It’s not like Survivor — there’s room for everybody here and they all inspire me one way or another. But my creative inspiration can come from some pretty random places too. For instance, in the 1980 movie Ordinary People there is a climactic scene on a golf course, where the character played by Mary Tyler Moore has this huge meltdown. It is where her character’s true nature is revealed for the first time. I have a lot of thoughts when I watch this scene. First, I think of Judith Guest, who wrote the wonderful novel and created the characters on which the movie is based and then I think of the screenwriter Alvin Sargent who faithfully did the screenplay adaptation and won an Oscar for it. 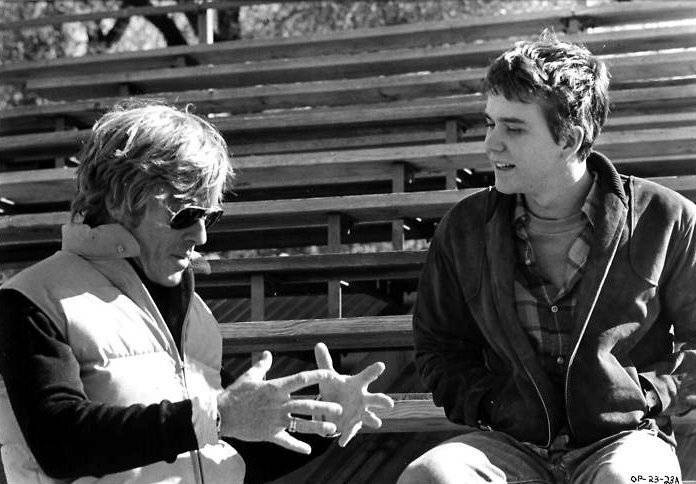 I think of Robert Redford too, who directed the film and (according to an interview I saw once) shot this difficult, pivotal scene in one fluid take. And of course, there is Ms. Moore’s performance which is so raw and terrifying; it kind of takes your breath away, particularly because she had long been known as one of Hollywood’s sunniest performers. Her acting here was considered something of a revelation. The scene had an enormous impact on me the first time I saw it, but even then I realized a number of very talented people had collaborated on it. Everyone was working to get their piece right. I think it gave me a very early sense of how one can aspire to create something (or be a part of creating something) that will have a lasting impact on others. This is true even if you are not tackling a major motion picture, but working on a much smaller scale. Still, if we are lucky we can be inspired everywhere we look. Creativity exists on a number of levels, from Tom Brady’s surgical precision during his triumphant fourth quarter performance in Super Bowl XLIX (defaltegate be damned!) to my own son’s insane (and for me heartstopping) landing of a 16-stair jump with his battered and beloved 5Boro skateboard. These breathless moments, whether they are on the page, on the screen or on the playing field, when I am left asking “How did they do that?” often energize me to jump back and focus on my own stuff, to see what I can do. I am always grateful to encounter amazing work, whether it’s reading a flash fiction piece in a little magazine or hearing Broadway star Sutton Foster sing a show tune — or watching some terrific episode of Girls or Looking — those two beautifully written, character-driven shows on HBO. Yes, I’m one of those people who believe Lena Dunham is a true genius; and my devotion to the characters of Patrick and Richie on Looking (created by Michael Lannan and so persuasively acted by Jonathan Groff and Raúl Castillo) approaches the restraining order territory (HBO’s recent cancelation of this show is perhaps the first real sign of the Apocalypse!). At any rate, in these random ways (and countless others) I have been moved and been better off for it. But it all comes back to the idea of trying to make an impact with your own work, of adding to the conversation, of attempting to put something out in the world that hasn’t been there before and, most of all, paying attention to what truly inspires us.